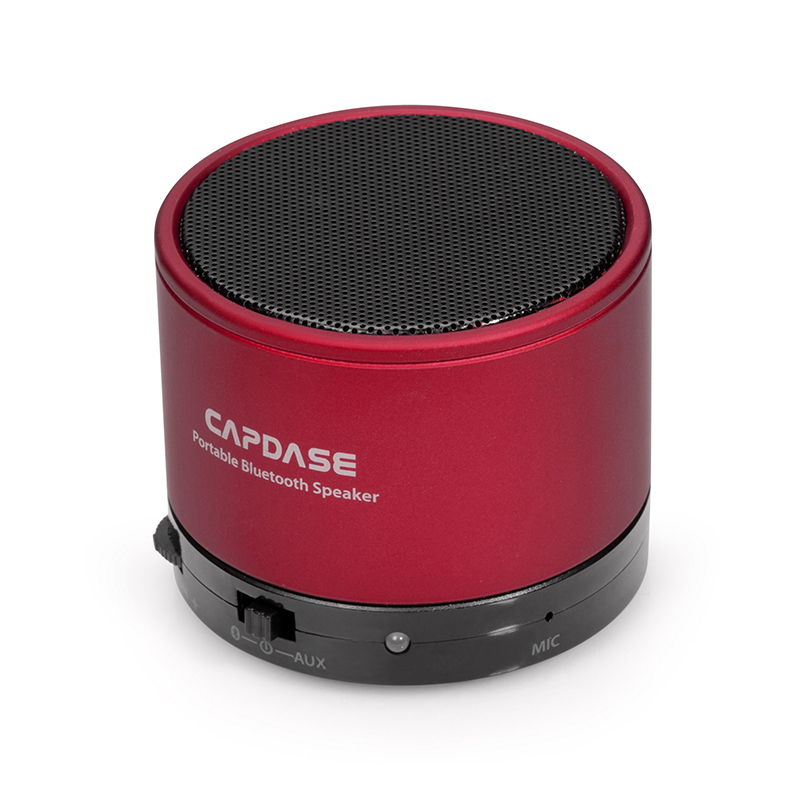 I recently got this beautiful little but powerful item from Capdase, their Beat SOHO Portable Bluetooth Speaker! Just last year I’ve been slowly buying devices that are wireless, especially if I need it for my laptop, like for the computer muse for example, I’ve gone wireless! There is NO wired mouse that have lasted at least 6 months to me, it’s even a miracle that it will last for 3 months. So I’ve decided to go wireless, even though I have to buy batteries for at least once a month. I’ve also gone wireless for my headset, it’s a miracle that a headset will last for about 2 months to me. Though it’s expensive comparing to the wired once, I did go for it – I’ll post the review of that headset soon! So, I’m very lucky that I was able to get my hands on this awesome item from Capdase! Here are something about the Beat SOHO Portable Bluetooth Speaker that you might want to know about. Now, since with the features given to you by Capdase, it’s time for me to review the product and give you some insider view of it through these. Since I already have my own wireless headset, I let my Mama use it. She sometimes use it while she’s in the bathroom (to have some music while taking a bath) and since most of the music that she wants are on YouTube, I’ve noticed that there’s a delay to the sound, and the video seems to load really slow. I’ve transferred the speaker nearer since I want to make sure it’s not slow because of my internet connection, but when I transfer it the video stream is fast again. But then again if you’re going to use it far from where you should be watching, the lag is just fine. I actually discovered this when I left the speaker on the living room and I was passing by and the sound goes off because I seem to be blocking the signal. I tested it again, walk away and it was back, I put my hands (blocking the signal) on the speaker and the sounds goes off. I was actually really excited to try it out when I got home. The good thing about it is that I think it’s already charged, so I can test it out immediately. I was amazed by its sound for a tiny thing. It sounds better when everything around you is quiet or you’re in a bathroom. My Mama was so fond of it too. She loved it that now she claims it to be hers. She’s still learning how to use the Bluetooth though – she said at first “huh? What’s Bluetooth? There’s no tooth here!”. As I was reading the manual, I was worried that it won’t work with my laptop since I do watch TV series from time to time, especially now that HOOQ just gave me a 1 month free access. So I’d love to use it from time to time. What’s great is that it works very well with the laptop. But I did have to update my laptop’s Bluetooth software since I was having a problem connecting it at first with my laptop. No problem with my smartphone and tablet. Another thing that I love about this speaker is this. I don’t have to go to my phone or tablet to go for the next song or play it back again. I just have to move a switch left to right or vice versa to go for the next and previous song. 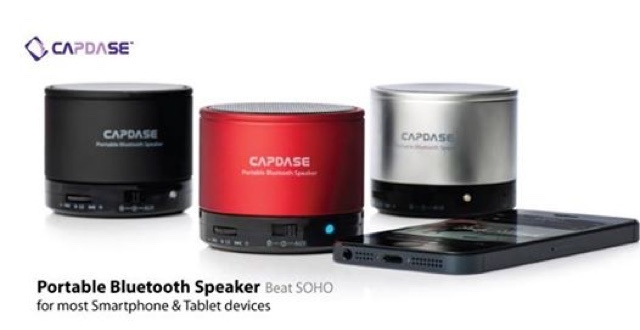 The Capdase Beat SOHO Portable Bluetooth Speaker is worth around P1,200 and if you’ll ask me if it’s worth it to buy? Yes it is! 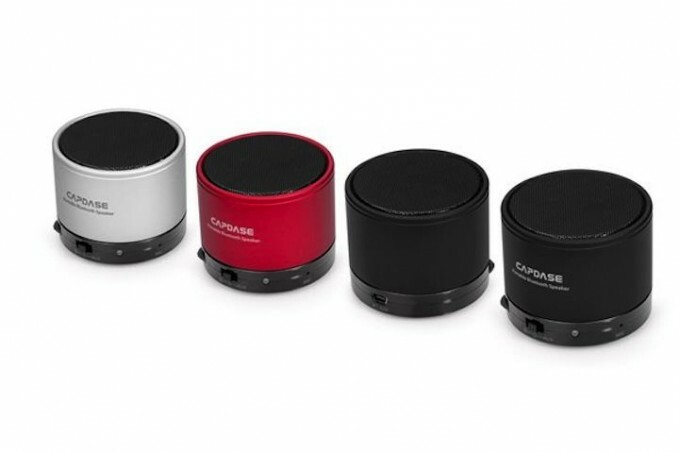 Bloggers Tech blog would like to give this speaker a rating of 4 stars out of 5 stars. There are still some problems but it’s fixable.